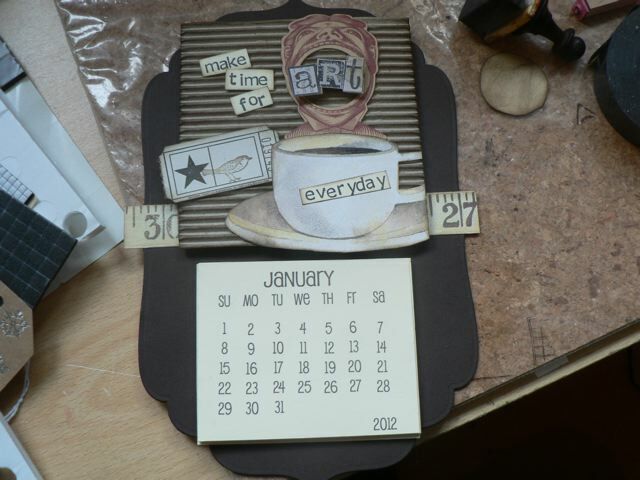 Last year I made a little project with a tear-off calendar. This year I made another set (although looking at that old one I find I really, really still like PupKat as a font LOL!) and made a PDF – just black, again, because this calendar thing is taking over my life! Designed for A4, I am hoping someone from SCS will test it out on US letter paper and let me know – in theory it SHOULD work, but I am just never sure…. 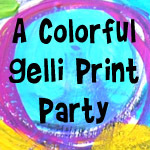 The little red lines, which print out of the area that will be on show, will help guide you. 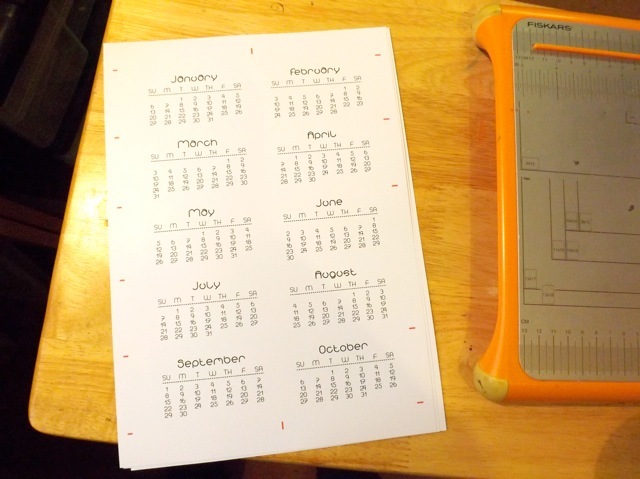 The PDF has four sheets and will make three tear off calendars. 1. Cut the sheet down the middle. 2. Take one half sheet and cut across at the first red line. Starting with January, the red line is on the LEFT of the text. Rotate the block so the text is upside down. Match the now left edge to 3 1/2 inches and cut off the excess. 3. 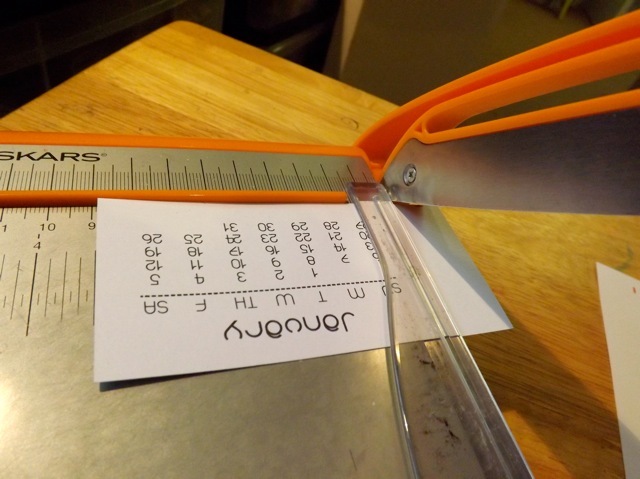 For the other half-sheet, keep the text upright and again match the left edge to 3 1/2 inches and trim. 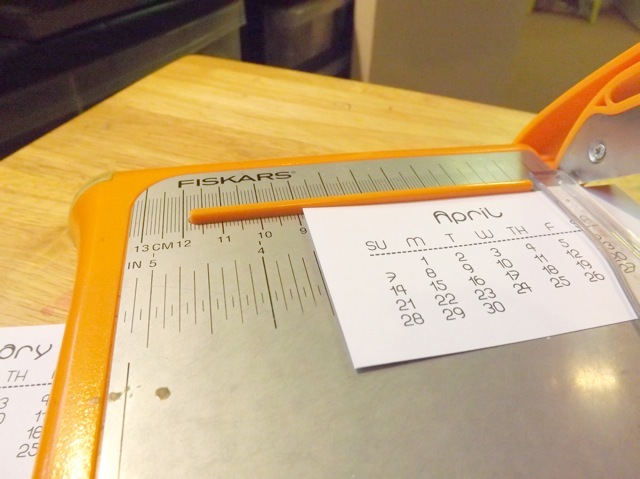 To be honest, once you cut the top line across on the half-sheet, you can just rotate that and line that cut edge up with the 2 inch mark and cut, then slide the cut edge up to 2″ and cut, etc, etc. rather than relying on the lines. Either way. I did improve slightly how I did the glue. And a couple of tips. First, once you get them all cut, tap the TOP edge, where the glue goes, on the desk so it is absolutely level – that edge matters. Any slight imperfections in your cutting will then be on the bottom edge where it DOESN’T matter! 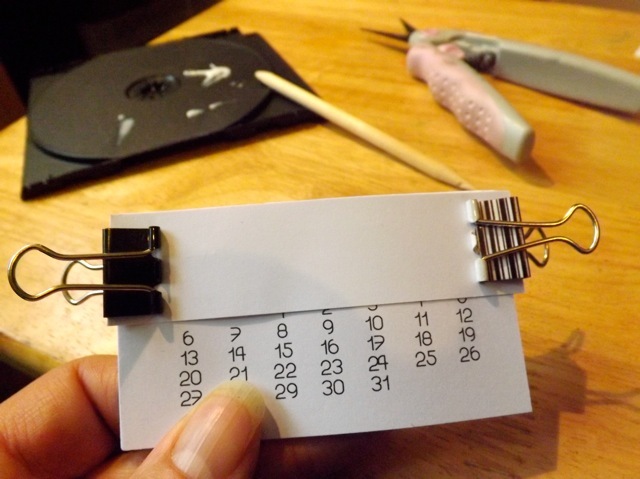 Add a scrap in front of the calendar stack and glue it too. This will mean you can be slightly less than perfectly neat. 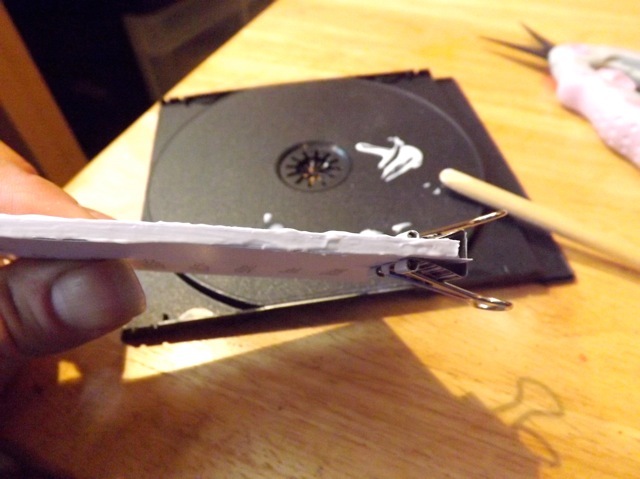 Once the glue is dry, just tear that first sheet off. Nw, today is kick-off day of the CyberCrop proper on UKS – it’s been all pre-crop fun for … FOREVER it seems like! But today it starts for real. 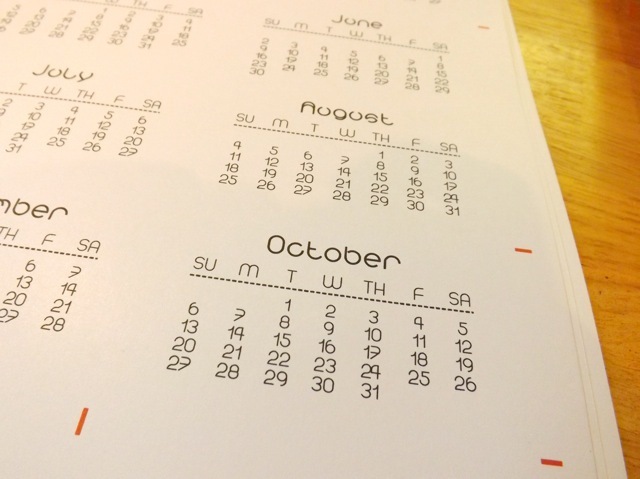 Categories: calendars, downloads, printables | Tags: calendars, how-to, printables | Permalink. This is such a great idea…I always wanted to know how to do that. What kind of glue did you use? I used Aleene’s Fast Grab but I think any PVA type glue would work (Elmer’s for example) – not sure about a silicone based one! Having said that, pretty sure rubber cement would work. I love this one the best – tutorial is great. Gotta give this a try soon! Thanks so very much for your generosity in sharing!! !